Exactly how does one get a judge to rescind an arrest warrant after an alleged finding of “felony fraud in the amount of $100 million”? We’ll get to the details of the alleged fraud in a moment, but first a bit of historical perspective on JPMorgan Chase’s decade-long crime spree. Peculiar things happen a lot where JPMorgan Chase is involved. Crimes are routinely committed, tens of billions of dollars are paid in fines, the bank admits to three felony counts in a two year period, it gambles in exotic derivatives with its bank depositors’ money and loses $6.2 billion – and yet, no executive ever goes to jail and CEO Jamie Dimon not only keeps his job but keeps getting big pay raises, moving him now onto the Forbes billionaire list. Two of the felony counts against JPMorgan Chase came in 2014 for its involvement in the Bernie Madoff Ponzi scheme. The third felony count came in 2015 for its involvement in rigging foreign exchange markets. In 2013 JPMorgan Chase paid a $13 billion settlement with the Justice Department and Federal and State regulators for its role in selling investors subprime mortgage products as worthy investments when the bank had good reason to believe they would blow up. “Rather than act as a good steward and timely usher the Properties toward sale, as promised, J.P. Morgan, as trustee, has instead failed to fulfill its obligations over the past five years. “In doing so, J.P. Morgan has revealed that it never intended to fulfill its promise to sell the Properties ‘as soon as possible.’ To the contrary, J.P. Morgan plotted to gain control over the Properties in order to prevent the sales from happening. 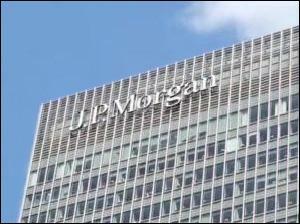 Indeed, in or about January 2013, J.P. Morgan’s Jorge Sosa (a managing director) and Melanie Foster (an executive director) told Sacal in J.P. Morgan’s New York offices that J.P. Morgan intended to wait at least five years from the execution of the Trust Agreement before seeking to sell the Properties. Pursuant to Trust Agreement § 8.01(f), after five years – i.e., starting September 24, 2017 – J.P. Morgan would have an absolutely unfettered right to sell the Properties at any time, without restriction or interference by BVG World, whereas within the five years, BVG World and the J.P. Morgan would ‘determine jointly any sales procedure,’ pursuant to § 8.01(e). The case is Cababie et al v. J.P. Morgan Chase Bank, N.A. (1:18-cv-05249-RWS). Cababie is represented by the New York law office of Meister Seelig & Fein LLP. JPMorgan Chase’s lawyers have not yet filed their names on the docket. The Judge assigned to the case is Robert W. Sweet.